Learn more about the Mission, Vision, History & Future of the Baton Rouge Apartment Association! Register for upcoming Educational Seminars & Membership Events! Learn more about NAA's Click & Lease program and how it can modernizing your leasing forms! As you may have heard, both chambers of Congress have passed the final version of the tax reform legislation, which will now go to the President for his signature. WASHINGTON, D.C. — Statement from the National Multifamily Housing Council (NMHC) and National Apartment Association (NAA) following the passage of the tax reform legislation. The National Multifamily Housing Council and the National Apartment Association applaud Congress on the passage of tax reform legislation and are pleased that the priorities of the apartment housing industry were largely addressed in the final bill. This legislation will help the multifamily industry meet growing demand to build 4.6 million new units by 2030. As the focus now changes to implementation, NMHC/NAA will continue to analyze and assess the impact of specific provisions on the multifamily industry. For more than 20 years, the National Apartment Association (NAA) and the National Multifamily Housing Council (NMHC) have partnered on behalf of America’s apartment industry. 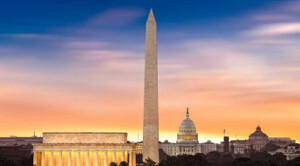 Drawing on the knowledge and policy expertise of staff in Washington, D.C., as well as the advocacy power of 170 NAA state and local affiliated associations, NAA and NMHC provide a single voice for developers, owners and operators of multifamily rental housing. Apartments and their 39 million residents support more than 12 million jobs and contribute $1.3 trillion to the economy. Click here to review the significant features of the law that relate to the multifamily housing industry.